The level design tool is not included in the graphical overhaul. It’s going to look like a sore thumb until it sees medical attention. 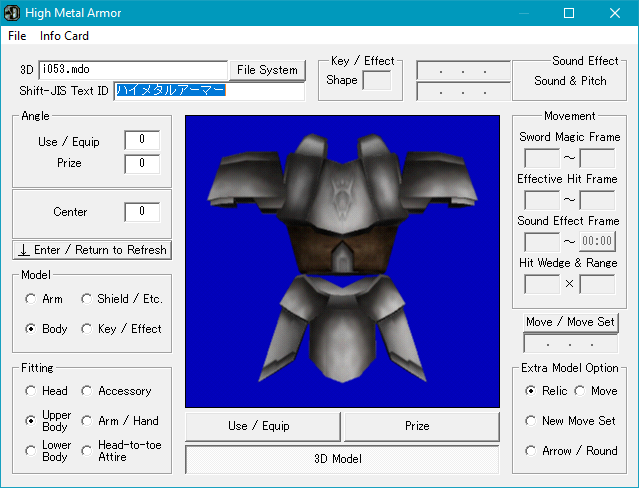 Some of the new features open up previously unavailable elements of Sword of Moonlight. In the last weeks someone has made great inroads into King’s Field II’s compact disc for the PlayStation. I think more than ever we are on track for having a port before its 25th anniversary. It just so happens new profile creation tools are going to play a big part in the first steps of the process! Published on Thursday, July 19th, 2018 at 22:20	concerning Sword of Moonlight. Reader responses and followups can be followed via the following RSS 2.0 feed. Leave a response, or trackback from an other site.